Drag Illustrated magazine announced today the inaugural members of its highly anticipated '30 Under 30' list. Celebrating some of the brightest young people in drag racing, the list and its members are the subject of Drag Illustrated's Tomorrow Issue, which will be released at the upcoming Performance Racing Industry (PRI) trade show in Indianapolis. "This has been one of the most exciting projects we've ever tackled," Drag Illustrated Editor-in-Chief Wes Buck said. "We set out to reward and celebrate the most talented and promising young people the sport of drag racing has to offer, and I could not possibly be more proud of this first-ever Drag Illustrated 30 Under 30 class. We know the hard work and dedication required to be successful in and around the highly-competitive world of drag racing and we want to make sure all these young guys and gals get the credit they deserve." The inaugural DI 30 Under 30 list is made up of some of the most impressive young drivers, mechanical minds and businesspeople across several sanctioning bodies in drag racing. NHRA Pro Stock phenom Vincent Nobile appears on the cover of the Tomorrow Issue and is joined by fellow NHRA professionals Brittany Force, Leah Pritchett, Rickie Jones Jr., Drew Skillman, Megan Fessel-Schumacher, Jon Schaeffer, Troy Coughlin Jr., and Steven Whiteley. The Sportsman racing ranks are represented by Jonnie Lindberg, JP Gutierrez, Corey Michalek, Ashley Sanford, Mia Tedesco, Cameron Ferre, Justen Moser, Kirk Wolf, and PJ North. The PDRA, nostalgia and small-tire racing representatives are Lizzy Musi, Kyle Dvorak, Preston Tanner, Matt Sackman, Mark Savage, Jimmy Sackuvich, Tyler Crossnoe, Daniel Pharris, Jared Johnston, Audrey Worm, Tera Wendland-Graves and Donovan Stott. "Compiling this list-without question-was one of the most challenging things I've ever been a part of," continued Buck. 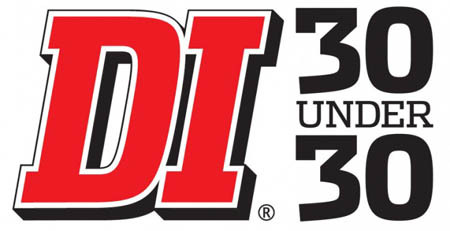 "In addition to our panel's short list of nominees, we received over 5,000 nominations via DragIllustrated.com and it was extremely difficult to narrow that list down for our inaugural DI 30 Under 30 class. I'm very proud of this group and hope the DI 30 Under 30 program serves as validation of their efforts over the years, as well as inspires other young people to get involved in drag racing or remain involved." Drag Illustrated will hold a press conference to honor the 30 members on Thursday, December 10, at 1:30 PM EST in the PRI Media Center. Copies of the Tomorrow Issue will be available at the Drag Illustrated booth at PRI (booth #3449) while supplies last.